The personalized Burk's Bay men's retro leather jacket is made from premium vintage leather. When wearing our Burk's Bay men's retro leather jacket, you'll imagine yourself cruising on a vintage Harley. This gorgeous premium vintage leather jacket features handy zippered side slash pockets to hold keys, a cell phone and more. The zippered sleeves offer an extra touch of style - and extra room and air if you need it. 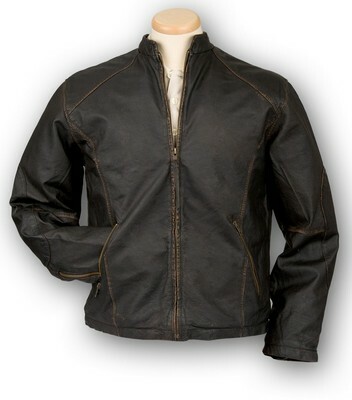 This retro jacket has a comfortable cotton lining and offers a slim fit. Add your custom logo and give this to your top clients.